Keynote panel to discuss & debate the question: Are newspapers in a post-advertising era? 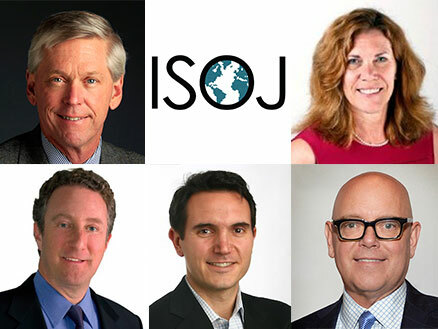 This year’s ISOJ will kick off on Friday, April 13, with a keynote panel that will explore the question: Are we entering a post-advertising era in media? Jim Moroney, the Chairman, President and Chief Executive Officer of A. H. Belo Corporation, will chair the keynote panel and will be joined by four prominent media leaders who will draw upon their expertise to discuss a topic that has become increasingly relevant in recent years. “Add in the troubles with digital advertising, bot fraud, unsafe environments, inconsistent measurements and metrics, viewability, the dominance of Google and Facebook, the rise of Amazon, CPMs under pressure, and you have media looking for other business models than those built on advertising,” Moroney told the Knight Center. Jim Friedlich, Executive Director and CEO, Lenfest Institute for Journalism. Before joining the Lenfest Institute in September 2016, Friedlich served as CEO of Empirical Media Advisors, a consulting firm focused on the digital transformation of major news organizations. From 1990-2000, he managed the global advertising sales, consumer marketing and business development of a large and diverse group of The Wall Street Journal and Dow Jones & Company newspapers, magazines, websites, cable TV channels and conferences. Sara Glines, President and Publisher, News & Observer, McClatchy Regional Publisher for the Carolinas. Prior to joining McClatchy, Glines was a regional publisher with Gannett and Digital First Media and was also president & publisher of the York Daily Record from 2012 to 2016. She has been an industry leader in transformational change most particularly in moving newspapers and magazines into the digital world to meet the ever-changing needs of the audience and the businesses they serve. David Perpich, General Manager & President, The New York Times’ Wirecutter. Perpich runs all leadership aspects of the business and editorial operations of the Times’ product-recommendation site WireCutter. Previously, Perpich served as the Times’ senior vice president of product and the general manager of New Digital Products. He joined the company in 2010 as the executive director of Paid Products and responsible for launching the Times’s digital subscription business. Earl Wilkinson, Executive Director and CEO, International News Media Association, a global community of market-leading companies reinventing how they engage audiences and grow revenue in a multimedia environment. Wilkinson has written several reports and books related to the future of media, marketing, and the strategic outlook for the news media industry. During his nearly three decades with the Dallas-based INMA, he has helped transform the association into one of the world’s fastest-growing and most influential press associations. Collectively, the panelists will advance the conversation about media-related advertising and revenue in 2018. Moroney predicts that growing paid digital subscriptions will become newspapers’ highest priority this year.